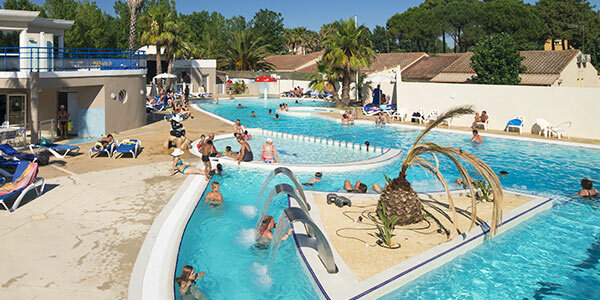 Archaeology sites and the "Alignements de carnac"
The bustling resort town of Carnac has nevertheless managed to preserve its unspoilt appeal. 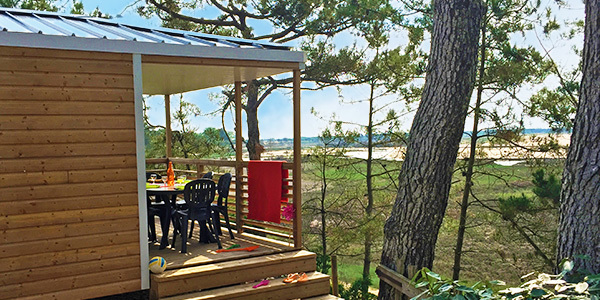 Le Rosnual thrives in a natural setting full of trees and flowers, nestled on the Breton coast, near the megalithic sites. Skilful use of landscaping features to mark out the plots protects your privacy. 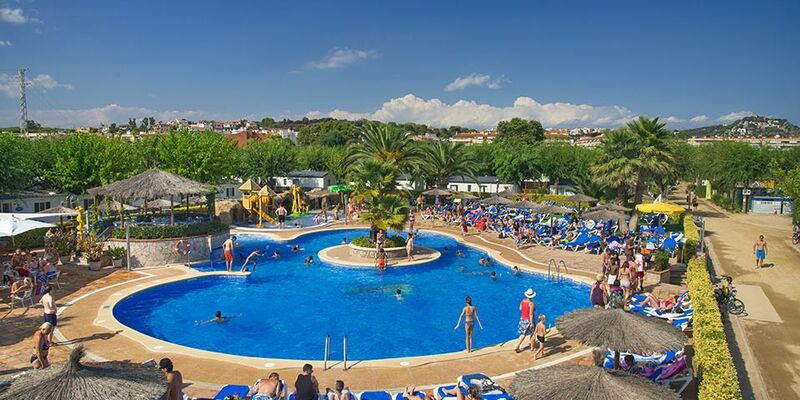 Between the beach and the forest, in a restful atmosphere, you're sure to feel the charm. Free beach shuttle in July and August (bus stop in front of campsite entrance)! 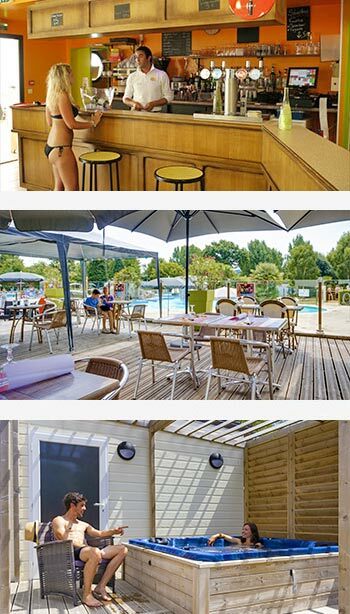 The advantages : Elevated wooden covered terrace, Sun loungers. 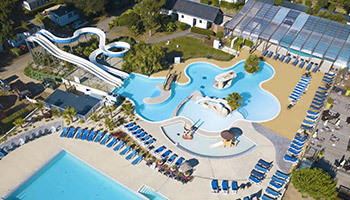 In this campsite located in Carnac, Brittany, you will enjoy water activities with its indoor heated pool (max depth 1m40) and its water playground for children. 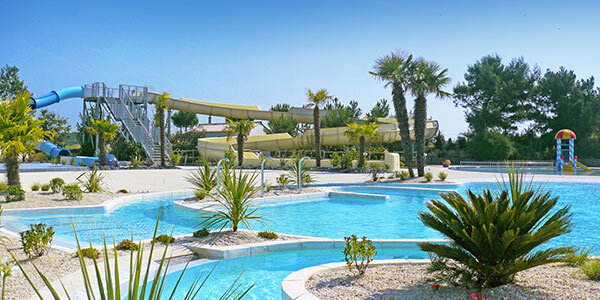 Outside, a spacious outdoor heated pool (max depth 1m20), water slides and paddling pool. 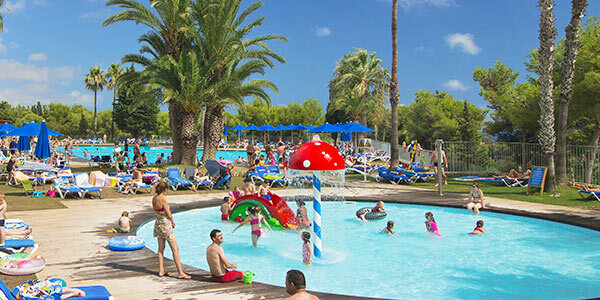 New features 2017 : a 180m² heated swimming-pool and new water playground. 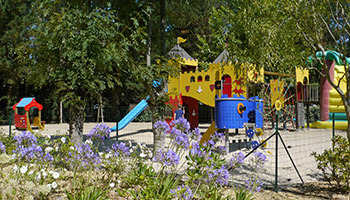 Outdoor facilities are open in July and August. The indoor pool is however open from the campsite opening in April. To unwind even more, enjoy relaxing moments in our wellness center (hammam, sauna, Jacuzzi, massages and spa treatments with a certified beautician). During your stay, a range of services is available to make life easier for you: supermarket, take-aways, bicycle hire, TV room, supervised overnight car park on the premises, paid Wi-Fi access, etc. Free beach shuttle in July and August (bus stop in front of campsite entrance)! Runs every day, including holidays, from 10:30 a.m. to 12:30 p.m. and from 1:30 p.m. to 7:00 p.m. (non-stop on Sundays). Passes every 15 minutes. 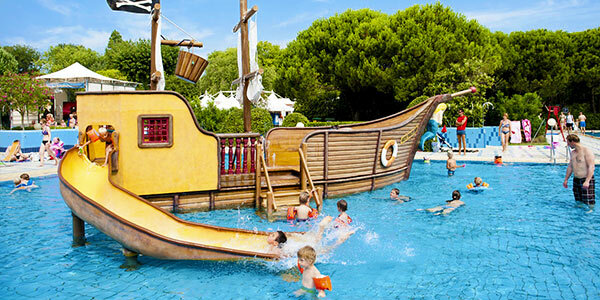 Young and old can choose between sporting activities (tennis, aquarobics) or more restful outings organised to Belle Île en Mer and in the Gulf of Morbihan. Likewise, theme evenings are organised to create a party atmosphere. Tour of the Vauban Citadel and museum. The biggest adventure park in western France, with 8 rope courses, 1-17 metres above ground. Cruises on the Gulf of Morbihan. An amazing discovery of the animal and plant world though total immersion in nature. A voyage through 450,000 years of human history, from the Paleolithic age to the Gallo-Roman era. Waterskiing, towed buoys, parasailing, wakeboarding. From first-dives to Level 3. Road links to Auray, Auray station, Vannes, Quiberon. 2 railway stations in Carnac: one in the Center Illertissen Square, St Cornély street - and one close to the Beach: Druides Avenue, front of the tourist information center. 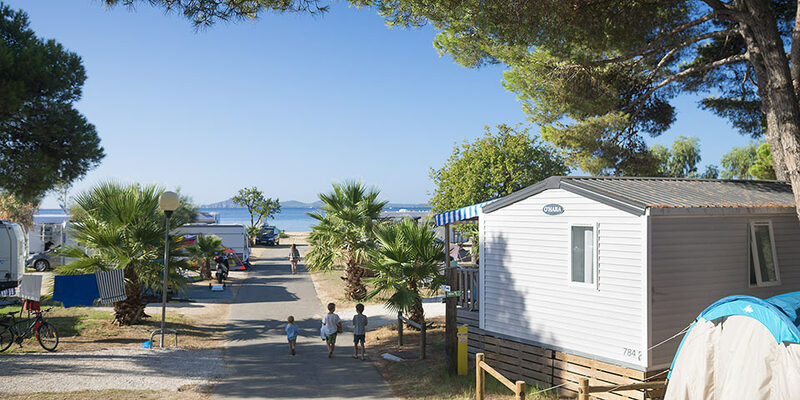 Discover the treasures of Brittany during your camping trip and enjoy every moment: mild climate, legendary forests, menhirs, paradisiacal landscapes, gastronomy, cultural venues, festivals, etc. For more information on the entertainment, please consult the official Carnac internet site.